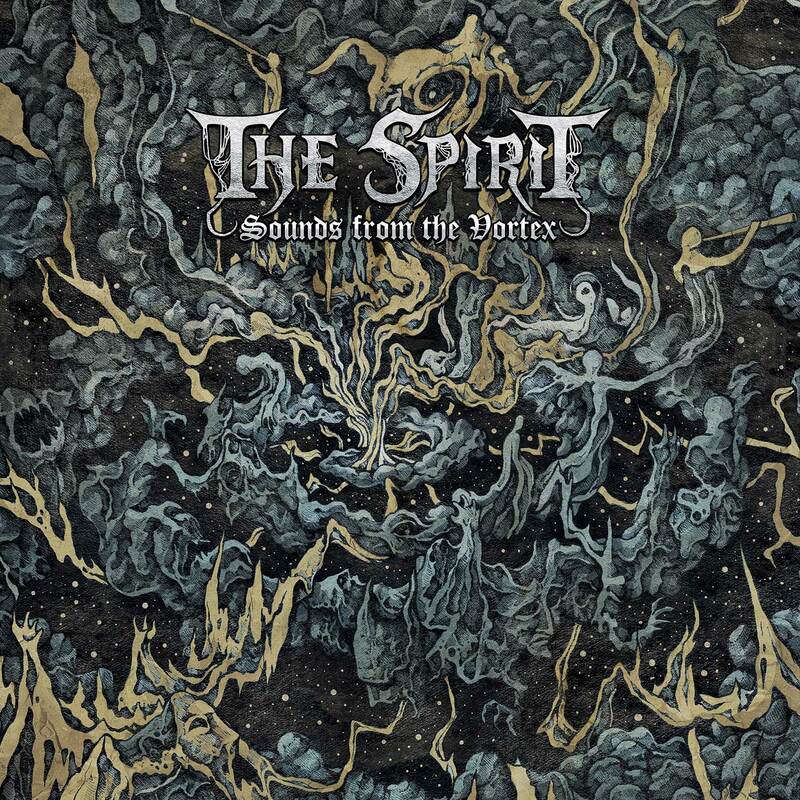 All fans of classic 1990s European Black/Death Metal should take notice of The Spirit who have just recently released their debut, Sounds from the Vortex, via Nuclear Blast. The first impression after listening to the first half of this record is that the band incorporates many elements that have lent to the success of their peers in the sound of 1990s Extreme Metal bands such as Dissection, Mayhem, and Impaled Nazarine. Theirs is a sound that is organic, a huge guitar sound, blasting drums, and a very live feel. The title track is first and ultimately is a lengthy intro that via a methodically picked minor key serves to give the listener a place marker of sorts for the ceremony about to ensue. As the band launches into the following track, “Cosmic Fear,” one is subject to a blitzkrieg, a sick surgical strike assaulting the ears with carefully crafted melodies via often haunting passages of bleak minor key excursions. The band blast their way into infinity before launching into some Black Metal style tremolo-picking a la classic Emperor. When the band slows, though, it becomes clear how well-endowed they are with the gift of dynamics. In fact, when it all comes together, all parts linked, The Spirit have written a successfully challenging piece of Metal. Also, of note is the third track, “The clouds of Damnation”. While assessing this song, the large point that keeps creeping back up is show classically-rooted melodies transfer to such evil-sounding guitar riffs. The solo toward the three-minute mark starts slow and melodic and when it launches into its over-the-top acrobatics, a syncopated Thrash-style riff threatens to steal the show underneath. Listening to “Illuminate the Night Sky,” the fifth track, it was impossible to not marvel at the expertly-nailed hammer-ons and pull-offfs executed during the opening riff. It also made clear the effect of early 1990s Florida Death Metal on these Germans. It has been very hard to listen to this album and not think the mysterious origins of The Spirit lie in more well-known bands. Furthermore, they do not give their names, just two initials for each member. Regardless, the band is to be commended for staying true to a style that is not the easiest to perform, yet the band sounds like their collective hearts are worn on their sleeves (not in any Emo-way, though, to be clear). There are truly several moments during this album where I was floored with the same feeling as from the classic days of the 1990s when first listening to Storm of the Light’s Bane and Nemesis Divina. If the reader is of the type to have chills when hearing “I Am the Black Wizards” or “The Freezing Moon,” that reader will truly appreciate the moments when The Spirit really nail it. One has to truly admire the guitar tone present. There is just enough gain for the edge, but it is dialed back a bit compared to others. This lends to the clarity and definition of the instrument’s sound, the ability to hear the impact of the pic on the strings. This is also perfect for the way the band uses dual-guitar harmonies painted by tremolo-picked passages. The notes are full and one can easily discern between the parts of each guitar player. Ultimately, this album is a breath of fresh air. Amid all the genre gymnastics of today, it is easy to forget favorites when trying to sort through the overly astounding numbers of bands with new releases. The Spirit effectively show that guitar aficionados can still get their fill from the old school Blackened Death Metal genre. It’s melodic, though with a colder, mournful fugue type sound. Leave it to Nuclear Blast to find a German Metal band that shreds through such classic riffs. With bands such as Uada, Pillorian, and The Spirit, the golden age of Extreme Metal is being duly reverenced. It would be a mistake to miss out on even a sample of this. To truly appreciate the work, though, it must be heard in full, replete with peaks and valleys in place to guide the listener through the gallery of The Spirit.